If you have been injured while working on the job you are entitled to workers’ compensation benefits even if you somehow caused your own injury. While workers’ compensation seems pretty straight forward, unfortunately, it is not. The process can be quite complex. We often see employees who are overwhelmed by the entire process. We also often see attempts by the insurer for the employer to settle workers’ compensation claims for less than the true value of the case. Many times offers to settle workers’ compensation claims appear to be logical and fair to the employee unless the employee fully understands his or her rights. This is especially true with back or shoulder injuries. A workers’ compensation injury can be economically devasting to a family if the claim is not handled properly and the employee justly compensated. Further, they can be mentally exhausting and draining. Sometimes as a direct result of a physical injury an employee can suffer from a psychological condition, such a post-traumatic stress disorder, which may also be compensable. At the McGinn Law Firm your initial consultation is entirely free with absolutely no obligation on your part. It is important to know your rights including making sure you are being paid the correct weekly rate and that you are properly compensated for permanent injuries. Certainly, the adjuster working for the employer’s workers’ compensation insurance carrier knows all their rights. Make sure you are equally informed and represented. Workers’ compensation claims are handled by the McGinn Law Firm on a contingent fee basis – No Recovery, No Fee. 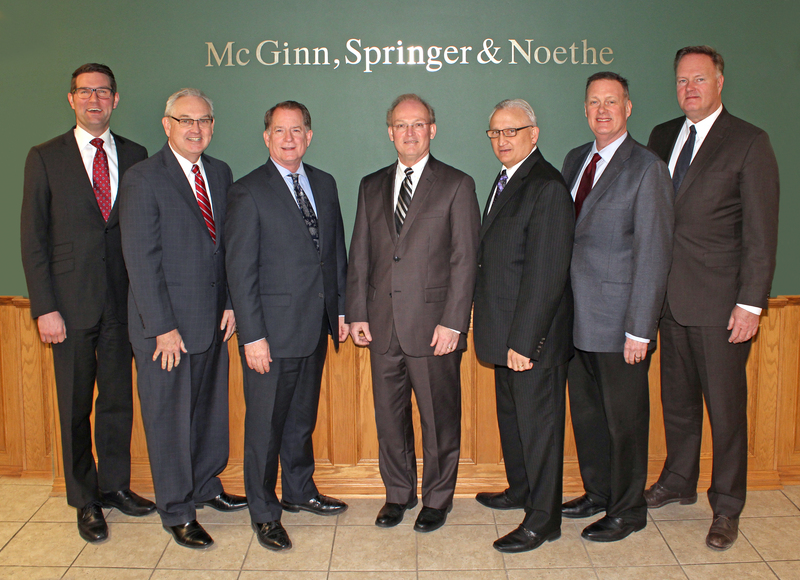 The McGinn Law Firm handles workers’ compensation claims in Iowa and Nebraska. The laws of the two states very tremendously. For example, in Iowa the employer selects the primary treating physician and in Nebraska the employee selects the primary treating physicians. Some claims can be brought in either Iowa or Nebraska depending of the residence of the worker and where the injury occurred. For example, an Iowa resident who is hurt while working for his employer at a plant in Nebraska can bring the claim in Nebraska or Iowa if the employer also has a place of business in Iowa. Generally, Iowa benefits tend to be higher than Nebraska benefits. Knowing this, employers will normally start paying benefits under Nebraska law until they are told the employee elects Iowa benefits. An employee must provide notice to the employer of their injury. If you have a notice issue, please contact the McGinn Law Firm to discuss. Sometimes a worker is injured whiling working and the cause of the injury was the fault of a third- party (not the employer or employee). The McGinn Law Firm has the knowledge and experience to represent you in that personal injury claim as well as your workers’ compensation claim.